Virtual. Effective. Efficient. Increase response rate and maintain compliance with our on-site pharmaceutical call center for physician messaging and patient support services. Life science companies embrace WDSrx Physician Sampling, Physician Messaging and Patient Assistance Programs to achieve measurable results while lowering costs. 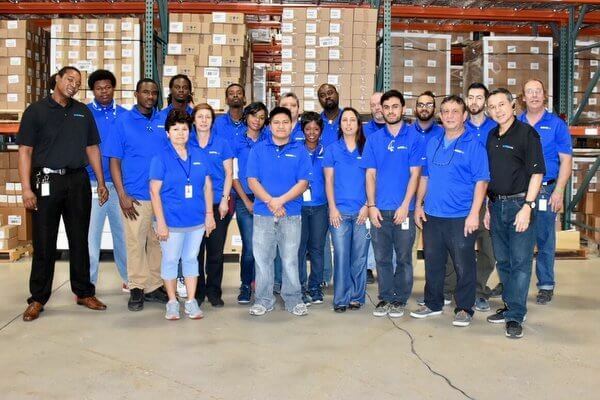 Our experienced promotional team operates the pharmaceutical call center from a high tech call center at the WDSrx Boca Raton, FL headquarters facility. Specialists undertake extensive training, becoming knowledgeable, respectful and determined agents on behalf of each client. With scripted dialogue and friendly personalities, our representatives build relationships in phone conversations that generate results. Physician Sampling initiatives inform physicians about promotional materials and samples to enhance their product knowledge and serve their patients more effectively. Physician Messaging programs are carefully orchestrated with clients to share key information with physicians about new and existing products. Each program is carefully structured to manage and process all documentation including FDA ACA 6004 and physician license verification for greater efficiency and increased productivity. Patients struggling financially may require a Patient Assistance Program (PAP) that makes accessing medications easier. Life science companies rely on WDSrx to efficiently manage their PAP programs and follow stringent regulations mandated by the Health Insurance Portability and Accountability Act (HIPAA). Patients interact directly with our support specialists who guide each caller through program requirements including verification for enrollment and renewal. Our representatives efficiently track forms and documentation, verify details and process orders that are fulfilled directly from the same location. Every WDSrx physician and patient support program is reviewed daily to measure performance, analyze activity and improve conversion rates to increase the quantity of successful phone interactions. The WDSrx call center and our warehouse and distribution facility integrate several functions from order to invoice including returns with responsive customer service increasing convenience, efficiency and effectiveness. Please allow us to contact you to discuss your 3PL pharmaceutical call center requirements.